ZEISS OPTICS - Website of Outdoor Sports New Zealand! Riflescopes, binos, reflex sights and reticles for every hunting situation from ZEISS - optical precision combined with highest image quality. ZEISS has plenty to offer in hunting optics, from a wide range of riflescopes and binoculars. Below is a snapshot of what ZEISS is all about in the hunting world. 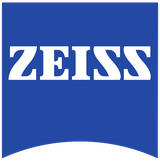 For a more detailed catalogue of what ZEISS has to offer, click on the button below to visit their website. ZEISS quality and properties in a form focused on the essentials. The perfect doorway to the world of ZEISS. The cost-effective products of the CONQUEST line from ZEISS provide outstanding performance for all that hunting has to offer. If you want to have an especially precise look at the details Zeiss Terra is the way to go. The TERRA ED 10x42 is available in "Deep Blue", "Black" and "Cool Grey."